If you have been on social media recently, you may have encountered the ten-year challenges that people have been posting as they look back on the changes and differences that happened between the past and the present. 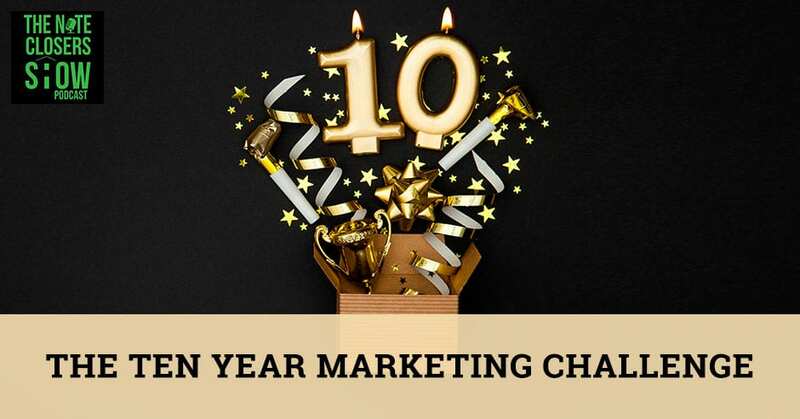 We take a spin into that as we look at the ten-year marketing challenge. Scott looks back at his journey and sees the value with the changes he has now. He asks you to do the same as you gather up the courage to start taking action, and maybe in ten years’ time, you will be where you want to be. This episode is a little bit about what’s the stuff going on online that we’ve seen here. If you’re reading this, you will go back and remember all these ten-year challenges or the ten-year photo options. People are posting current photos of themselves and then posting photos of themselves from ten to twenty years ago. It’s a funny thing seeing how people change. Some people still look the same. What were you doing ten years ago? I’m like, “Whatever.” I had my WCN membership coaching call, which we have at least once or twice a month with our members. I was flipping through my files to pull up a document to share with them, and I come across this video of me on my desktop from several years ago. This was before I was full-time in the notes. I was doing some notes. It was funny because it was the day one video of a personal challenge that I put myself forward making 100,000 in 100 days. It was a challenge I put out. It was the summer of 2009 end part of July. I’ve been divorced for a year. I was celebrating the one-year anniversary of getting unhitched and I remember I was a little frustrated. I was living in Pflugerville, Texas in a four-bedroom, three-baths, 2,500 square foot house, big backyard. It’s just me and my dog. That time I was no longer in the mortgage business. I was a full-time real estate investor and a full-time coach for Bob Lee and Jamie Kelly where I learned the business from and doing a lot of stuff on my own. I remember doing this 100-day challenge to put myself out there. I was doing a little blog every day about what was accomplished and what was I focused on, what kind of leads I’m getting, what kind of marketing was I doing to help me hit my goals. The funny thing in this video is the end of day one. I also found at the same time a little kick off video I filmed on that same day to launch it out there. What I was doing is every day I would write a little blog or I do a little video of a recap and I found this video. I had to play it and it was funny because I’m looking at me several years ago. I have aged quite well. I no longer have this furry beast on my chin. My hair is shorter now. I’ve got a little grayer in it. I don’t think I was using much hair gel back then, but my hair is longer. I’m a little heavier now, which is fine. I look at that guy and I’m like, “What was that guy going through?” I’ve got to remember what that guy was going through because it brought back all these emotions as I watched the video a couple of times over and I thought about it. I wonder how many people have looked at that blog because I haven’t gotten to that blog forever. I used to blog regularly on HubPages. It’s still around. I went back and found my old log in and looked at how many people have viewed that video. 3,500 people have looked at that video or read that blog since then. I wouldn’t say they’ve watched that video because that video used to be on YouTube. It was taken down. I lost my first YouTube account. It’s been up for a while. Somehow that video made it to my new desktop. As much as I type in $100,000 earners or 100 day and things like that, I have never seen this video until lately. It’s a little grainy. It’s a square video. It’s me in the house. It’s not good lighting. Somebody is holding the video while I’m talking. It was done with a flip cam. I still have the little Dell flip camera. This is the one that I recorded it with. It wasn’t on my cell phone at that point. It was a little Dell flip camera. These little cool things were good. We use these and put in a drive and go to the video editing software. It’s one of the best things. They’re great until they started doing smartphones with better cameras. I look at this guy and I’m seeing the flashbacks of what the last ten years have been like. I look at the marketing aspect of things. 3,500 people have read the blog. That’s roughly one reader a day. Go to my Facebook profile I posted the video there. I thought I’ve got to share this. This is my ten-year challenge. There were people that reached out to me. A buddy of mine on Facebook, Tyron in Memphis. I have never met Tyron in person, but that video that I posted that marketing from the 100-day challenge inspired him to go to some things. Tyron was kind enough to post on there as well. Shout out to you, Tyron. If I remember correctly, Tyron is living in Memphis. He was a forklift operator, living at home, struggling to make ends meet. He had his parents lived with him originally back in the day and struggling to pay for their medication and be the man in the house. 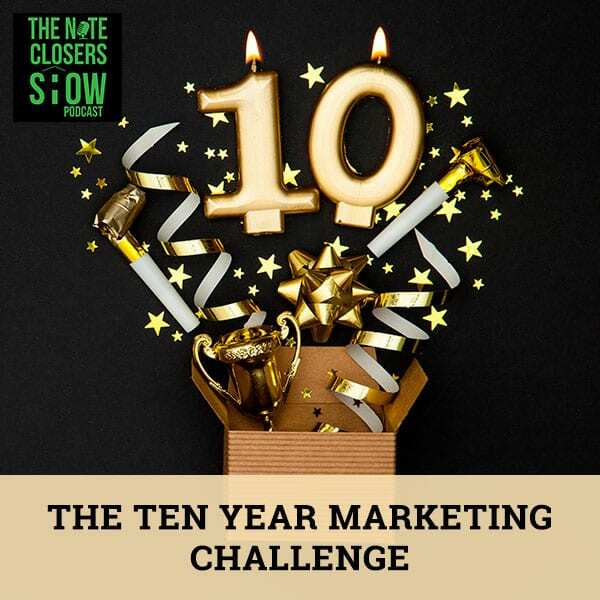 Ten Year Marketing Challenge: You don’t have to be a genius at marketing. If you do something and do one thing a day consistently, it will build so much momentum. Fast forward, he’s now a full-time real estate investor. He started wholesaling. We spent some time on the phone and helping him through some of his first deals. He’s full-time and a rock star doing some amazing things down there and he’s providing well for his family. I’m in the video talking about, “Here’s what I got my leads from now on Facebook. Here’s what I got my lead on Twitter.” I sent an email blast on LinkedIn. People reached out to me and I even posted on Myspace. Myspace is just another social media website that you could close deals from your market. It’s gone the way of the dodo bird for the most part. The thing you have to keep in mind is, have you looked back at ten years talking about what you’ve accomplished in the last ten years and what your marketing had done? The message is almost verbatim of what I preach to this day. It’s still very valuable. It’s still very relevant. They’ve provided the Myspace thing. I look back at that guy and if listened to the deals that I’m talking about, I was all over the place. I was trying to wholesale some deals. There were some note deals, a deal in Georgetown, Texas, a deal in San Antonio. That’s the biggest thing looking back. I took it July 29th of 2009. It was about a year and a half later that I sold everything in Austin and then I went on my road trip. I became solely focused on note investing that next year. I laugh because it’s funny to look back at that and not only just see the face. Looking back and thinking, “What are all the things that I’ve accomplished in the last ten years? That’s a powerful thing to think about. Don’t get me wrong. I have had my shares ups. I’ve had my shares of downs in the last ten years as everybody has. The biggest thing is, I look at what that guy has accomplished in the last ten years. I’m excited and even more invigorated on what’s going to happen in the next ten years and what happens when I look back on this episode. I’ll look back ten years from where we’re at right now and where the market is at right now. Will I still be in note investing? I think so. I’ll still be a real estate investor for sure. Will the podcasting be around or the videocasting? What’s the big thing to look at? The podcast didn’t exist ten years ago. I didn’t know what a podcast was. I was starting to do a little video blog each day. The value in that and the thing to keep in mind here is, I’ve planted a lot of trees. There’s a man in India in 1979. He was living on this secluded desolate sandbar in India. Void of life, void of water and just an ugly place. When he was on his way home from work and he was walking back to his village, he would stop and pick up a tree seedling and he’d go back and plant a tree every day. Fast forward to where it’s at now, he has this amazing rainforest. He has this amazing plant filled green and all sorts of different animals there. Freshwater is flowing throughout it. Its rainforest because he planted tree seedlings one a day. That’s the thing that I look back at that marketing. The overwhelming thing is you don’t have to be a genius at marketing. If you do something and you do it consistently one thing a day, it will build so much momentum. It will build much more time. I know that a lot of us get bogged down on all the different crazy things that we couldn’t do in marketing. I know I have to filter things down. People think, “You’re doing all these things.” We’re doing one thing and then sharing it across seven to eight platforms. It looks like it’s a different thing because we’re repurposing the content and that’s the thing that you’ve got to look back. I challenge everybody here. Think about it. Where were you ten years ago? What were you doing? People I know are still in college or weren’t even in college. You go to college, get an advanced master and you could almost be a doctor. Look at where you were ten years ago. Think about all the things. What were you doing? Where were you living? What did you accomplish? I think back ten years ago I was living here in Pflugerville. I hadn’t traveled that much abroad. I had just gotten back from Europe. I hadn’t traveled much, but I was working with a lot of investors across the country. I was spending about 35 weeks doing one-on-one coaching with a lot of people. That was the second year that I’d made six figures outside of my real estate investing where I was making six figures in coaching. I said, “Let me stop the coaching side and get back to focus on the real estate side.” It was so successful by day 56. I did not have time to do the video anymore. I had to stop it because I was so busy at each day with deals and leads and things like that. That’s why I was joking about that. If you do something constantly and consistently with the same message, same focus each day, day in and day out, you’re going to drive traffic to you. You’re going to be successful. I see so many entrepreneurs struggling and note investors because you’re all over the place. There is no primary reason or focus on what you’re doing and people can see that. That’s the big thing that I want you to think about. If you could now write the script for your next ten years, what would that look like? What would the next ten years look like to you? Tyron has changed his life dramatically. I’ve changed my life dramatically. Many of you have changed your life dramatically in the last ten years. When has been the biggest a-ha moment? The biggest a-ha moment I have learned in the last ten years comes from a couple of deals. It comes from reaching out and making some big changes and not being afraid to go gung-ho all in. I did things that maybe not others could do. The fact that I’m selling everything going on the road for three years straight. That’s not something that everybody can do because they’ve got family, they’ve got kids. You can but you got to look at it and be creative in how you do it. Where do you want to be in the next ten years? Ten years is a big timeframe. Maybe you need to look at five years, maybe you need to look at four years, look at where you’re at right now. Whatever problem you’re facing right now is a temporary blip on where we want to be. It’s a temporary blip on your real estate business. That was one of the biggest things that we discussed on WCN Crew. Thank you to everybody that was on that call. A lot of people got a lot out of it based on the emails and the comments. We’re seeing tapes out there, performing and nonperforming. 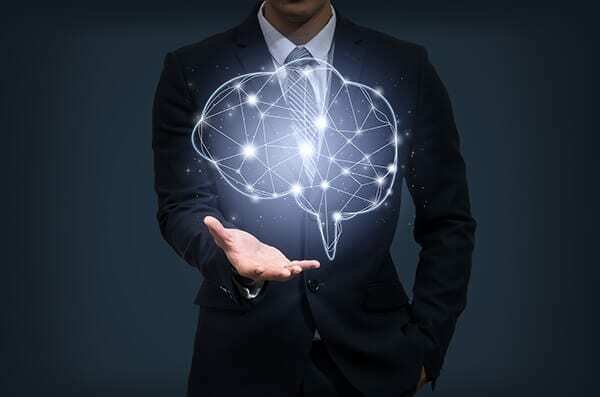 People are avoiding making offers in a lot of assets because the fact is they have these preconceived ideas in their head like, “It’s a performing note paying 15% or 16%. I don’t have the money. 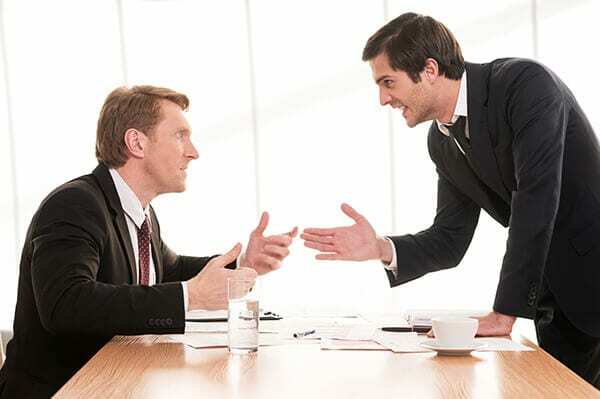 I’m not going to go and do that.” Maybe you need to learn to market and shift your perspective. We took these 100 notes. We focused on the 68 or 69 performing. We narrowed that down in some. These real estate investors got so bogged down that people are looking for 12% or greater. It’s because that’s the people you hang out with. We’re all freaking sharks out there. “Why don’t I get a good return on our money?” That’s not necessarily the good return that is in the United States. If you’re thinking back to my banking background, the bankers, financial advisers are brainwashing society. They got all the talking heads on TV with Jim Cramer. It’s more entertainment these days. It’s not something you want to base your investment advice off. They’re like, “0% to 4% is safe. 4% to 8% is mid, but anything 8% to 12% is high risk.” They’re already done all the educating on the interest rates that people should be expecting. Birds with the same feather flock together. We investors like to go to meetup groups, networking events and expos and things like that, but that’s not the best use of our time. Going to a real estate investment club is not always the best use of your time especially if you’re not marketing already. Yes, that is a great thing to go to scratch the proverbial itch that we all have with networking and wanting to talk with people. We’re a real estate investor because we hang out with investors. If you’re not making active offers, if you’re not working a portfolio of assets of some sort, if you’re not involved with that, you’re not an investor. You’re a wannabe investor because there are two things that separate those that take action and those that don’t. Taking action is making offers and it’s marketing. Let’s talk about some of the things with marketing in the States. I still think Facebook is a great thing. There are a lot of great tools about what you can use with Facebook. I don’t think I would be investing at Myspace or your time there. Facebook, Twitter, and LinkedIn are phenomenal places to still be marketing. They’re phenomenal places to talk with investors. They’re phenomenal places to talk with people that have the money, but they don’t have the time. They don’t have the time to go out and find the deals for their portfolio. They don’t have the time to help them put their IRA to work. That’s a couple of things that you have to look at doing. Many people are trading their time for a specific salary or an hourly rate and that’s fine. If you’re happy with that, you’re comfortable with it, that’s fine. If you’re not happy with where you’re at, you are solely responsible for where you’re at and nobody else’s. You have said yes or you failed to speak of along the way and you allow people to make those decisions for you. It’s the same thing in your marketing. If you don’t speak up, if you don’t share what you have going on, others are going to share what they have going on. In this world, people flocked to the loudest person a lot of times. That’s a quote from The American President Kirk Douglas. In a lack of leadership, people flocked to the loudest voice. We see that happening in politics a lot of times. We have the Democrats, the Republicans. They were trying to be louder and shooting noise over everything. Don’t get bogged down into that. I’m much stronger mentally than I was ten years ago. I’m a big believer in faith. I believe that God provides for those that go out and do it. I’m a big believer that Obama wasn’t going to save your house and in Trump wasn’t going to save your house. You’ve got to go out and do it yourself. I had the privilege of being a guest on the Crushing Debt Podcast with my buddy, Shawn, who’s been a previous guest on our show. Most of the time, he used to represent banks back in the day. Now he switched over to the side. He has a law firm that represents the borrowers in bankruptcy and foreclosure cases. It was great. We were talking about the mentality of the borrower like, “The bank is after to get my house.” I was like, “No, the bank does not want that. The bank wants you to pay your mortgage. That’s all they want.” The last ten years has been quite a bit of an up and down and a good ride for many people that got in. Are you prepared in a downturn? Are you prepared to switch your focus if things go south? I see so many people in the real estate industry who aren’t marketing because they’re just riding this wave. They don’t have to mark it for clients. They walk in. They fall over in my lap, fall over in front of my office. You have to realize that you have to take action and start marketing. I love seeing people marketing. I see little notifications pop up on emails and I see people sending out emails. Steve Young, I saw that your email went out to your database, which is great I’m a part of. That’s awesome. Keep doing it. Build consistency and that’s the only way that you’re going to get where you want to be ten years from now. If you look back at the last ten years, learn from your mistakes. Look for the changes that have taken place. Look at the falsehoods that you thought to be true ten years ago that turned out not to be accurate. Our mindset is one of the most powerful tools that you’ll ever have. Use that mindset to keep going and overcoming your obstacles. We have obstacles all the time. We have deals that are going well. We have deals that are going South. That’s fine. We worked to get those taken care of. People are buying assets and then they flake. We worked through it. If this is a challenging field for many of you and you don’t have that mental mindset and that mental strength, then you need to focus on getting a job and that’s okay. Some people are not cut up to be real estate investors. They’re not cut up to deal with the constant influx of change. Ten Year Marketing Challenge: You are solely responsible for where you’re at. You either have said yes or you failed to speak along the way and allowed people to make those decisions for you. I had a guy email me and he’s like, “I made some phone calls to some banks and one asset manager was rude to me.” I’m like, “You learn more from that call when you did from those that said yes or no.” He’s like, “Are they all going to be like that?” I was like, “They’re not all going to be like that.” Life is not the summation of the worst possible opportunities and the worst possible situations. You have the best and the worst. What happens is 85%, 90%, 95%, but not extremely live somewhere in the middle there. That’s what you have to realize and that’s why your marketing is so important. Your marketing especially doing on a daily basis is going to help guide you to where you want to be. Think about where do you want to be in ten years? What does that look like? We’ve often talked about where to be in three years. Three years is a lot easier to handle than ten years then put three years. What’s that looked like after your three years? What’s that look like three years later? What opportunities if you’re on the path that you want to get to, what’s that turn out to? My biggest goal is increasing our cashflow. We are making a conscious effort to buy more performing notes. We’re still buying nonperforming but buying more performing for our portfolio using other people’s money who want to make 6% buying performing notes and arbitrage in the funds. Using that and make it a win-win across the board. That’s one of the biggest things we’re focused on. Three years from now, Steph and I both believe we will be in a different city. We will be in a different area. I’m still doing a lot of marketing. I’m still being out there but the winds have changed. What would be around? Where will you be in the next ten years? What social media platforms will pop up? What social media platforms will be gone? I saw a good post from Gary Vaynerchuk where he was talking about somebody who’s just building his business on Instagram. He’s like, “That’s awesome but what happens if Instagram goes away? What about if it gets bought out by somebody and it changes dramatically and it tweaks your business dramatically?” This is why you need to market across different platforms. Especially here with the podcast. We’re not only doing a video here and upload it to YouTube and Vimeo but then also take any audio and throw it across the twenty platforms. We’re uploading to smart TV channels with the videos and then do all the other stuff we do. One thing turns into eight, nine, and ten pieces of content for us. That’s one of the most valuable things I could say to you. Have your focus, know where you’re going and share it across everywhere. You’re going to have some things that work well. You’re going to find clients in some areas that we wouldn’t find them in others. That’s why we cross-pollinate. If you look back at your ten years, learn from your lessons and apply those lessons to your future. That’s what I would share with you. Go out and share it. Do your own ten-year challenge. Take some time to consider like, “I was thinking about this last night. I was thinking about it this morning as I’m lying in bed.” Just crack it up. Think of all the things that have gone through the last ten years, good or bad. What doesn’t kill you makes you stronger. That’s how you truly get to the top. Go out and make something happen. I love it if you would go to iTunes, leave a review and subscribe. Leave a comment on YouTube and Facebook. Thank you so much. We’ll see you at the top.